Under EU law, insurers which are based and regulated in one EU country may carry out insurance in any other EU country under Freedom of Services (FOS) regulations. This extends to include insurers from countries which are part of the wider European Economic Area (EEA) – Iceland, Liechtenstein and Norway and applies to all classes of insurance, including compulsory lines such as Motor TPL. A broker which is licensed in one EU/EEA country may place business in any other EU/EEA country. The FOS regulations thus provide a flexible and homogenous EU/EEA wide market for insurance, regardless of specific local insurance laws which may apply in any individual country. The country-specific premium and other insurance related taxes must be levied on the premium applicable to that country, regardless of where the insurance is placed. So, for example, if a UK-placed policy covers UK and France, UK IPT must be charged on the UK portion of the total premium and French IPT must be charged on the French portion. Premiums paid by a client in an EU/EEA country to an insurer based in another EU/EEA country are tax-deductible. How has this been of benefit to UK brokers and insurers? The ability to operate under FOS rules has allowed brokers and insurers which do not have their own operations in other EU/EEA countries to place cover across those countries without legal or fiscal difficulties. This has meant that smaller brokers and insurers have not needed to develop any local presence, thus saving the costs involved in building and maintaining such resources. What will change after Brexit? It is impossible to predict what any compromise deal which might fall under no. 3 might look like. Initially, hopes were high that UK financial services businesses would be able to continue to trade freely across the EU/EEA, but this optimism now seems to have been misplaced and the “Chequers” proposal for a possible future trade deal refers to “goods” and not “services”. This implies that there might be “no deal” for insurance. In the absence of any insight into what the negotiators might agree ultimately, we should focus on the best and worst-case scenarios. If UK brokers/insurers continue to trade under FOS rules, then nothing will change. The existing ability to operate without having to establish companies in other EU/EEA countries, or enter into reciprocal partnerships with local brokers/insurers, will perpetuate unhindered competition with those brokers/insurers which already have such international reach. It is far less obvious, however, that the absence of a local broker/insurer capability is beneficial to clients, as their local managers will not have access to a local, face-to-face, same language service and difficulties may be experienced in providing key services such as certificates of insurance, contract vetting and claims handling. Before considering how the removal of the ability to trade under FOS rules might affect UK brokers/insurers, it is necessary first to look at how EU countries currently treat the placement of cover with insurers outside of the EU/EEA. In that context, there is an accepted definition of such insurance, which is known as Non-Admitted. Non-Admitted (NA) insurance refers to the placing of insurance outside the regulatory system of the country in which the risk is located. A NA policy may be one that is issued abroad, or one in which the risk(s) may be included in a global master policy by an insurer that is not authorised in the country in which the risk is located. If the UK were outside of the FOS structure, then any insurance placed in the UK for a risk located in an EU/EEA country would be regarded as NA insurance and thus subject to the laws applicable in the individual country in which the risk is located. Placements with NA insurers, even where allowed, do not qualify for any protection by the regulator (and thus any compensation schemes) in the country in which the risk is based. Consequently, if brokers/insurers in the UK were no longer able to place cover for a client with exposures in one or more EU/EEA countries, they would have to ensure that any future arrangement would be compliant with all relevant local insurance and taxation laws and practices. Even where NA insurance might be allowed, or not forbidden, it would still be necessary to consider any possible negative impact of the loss of tax-deductibility of premiums and whether this would outweigh any savings achieved by not having local policies in each country. In this scenario, the only truly safe way to ensure that cover for a pan-European client is compliant is to issue local policies which fulfil the requirements of local laws. This does not necessarily mean that a separate policy would have to be issued in each territory, as FOS rules would still apply to the remaining EU/EEA countries after Brexit. In practice, therefore, it is likely to be acceptable to have one policy (for any non-compulsory class) issued in the UK for the UK risks and one policy issued in an EU/EEA country for the risks in all other countries. Many insurers have already established separate EU companies, through which they plan to issue EU/EEA policies after Brexit, and UK companies for UK policies. Brokers will either need to set up similar structures to facilitate the placement of cover and provision of service to the EU/EEA subsidiaries of their UK clients, join established broker networks or develop partnerships with local brokers across the EU/EEA. Those brokers which cannot ensure that their clients will have compliant post-Brexit arrangements will be at a significant disadvantage to those which can. At best they will lose some or all the clients concerned and at worst they may risk being accused of negligence for not addressing the issues. In the latter example, professional indemnity insurers are unlikely to be sympathetic, especially if the broker has made little or no attempt to ensure that their customer’s cover meets local standards. What actions should a UK broker take before Brexit? The best advice is to assume the worst! Engage the local brokers in the countries concerned. Escape of water is one of the most common causes of domestic property claims. Leakages take no prisoners; flood water damages anything in its path and severe leaks can cause hundreds of thousands of pounds worth of damage. It’s a real concern for many of our private and high net worth clients, who often have unoccupied second homes or outbuildings on their land, where leakages can go undiscovered for large periods of time. Couple that with the higher than usual value of items within these properties, and you see the scale of the issue. In fact, according to the latest report from insurer, Zurich, the cost of claims arising from Escape of Water jumped by more than £100m (£529m to £654m) in the last three years. Because it’s such a costly risk, and proper risk management could save our clients a large amount of time and money, we asked our head of Private Clients, Jeff Gibson, for his thoughts on preventing Escape of Water. Jeff gave us five points to think about when managing and covering the risk. Underinsurance is a real concern for many, especially when the value of items belonging to High Net Worth clients can fluctuate so often. It’s vital that when you speak to a broker to arrange cover, they’re experienced enough to understand value issues, only associated with High Net Worth clients, like the value of antiques, the cost of replacing extensive smart home technology etc. A very common cause of leakage is faulty pipework, or incorrect plumbing/building/repair work. Understanding the layout of your property gives you insight into where leakages are more likely to occur i.e. where the work you carry out is likely to affect any existing pipework. Aside from accidental damage from maintenance or building work, another common cause of Escape of Water is from burst pipers during the winter months. Many Summer or Holiday Homes’ will stay unoccupied for up to 8 months, and with temperatures dropping more and more over winter, this can cause a problem. To help manage this risk, organise someone who lives near the property to regularly turn the heating on for a short period of time and turn different taps on to let water run through the pipes. We’d also advise that you keep the central heating on at least 10oc when the property is unoccupied. In this day and age, there are countless versions of smart technology designed to detect water leaks and to ensure that water is flowing as it should through all pipes in the property. Many of these link in to existing smart home technology that you may already have in your home. If you’d like more advice on which technology is most suitable, you can contact the Private Clients team here at Romero. It may not be a risk prevention method, but it will certainly help you if you do need to make a claim. If you don’t record property value regularly, you could be left underinsured and counting the cost of your inactivity. Again, it’s vital that if you do work on your property that will increase its value, or any of the items in your house regularly fluctuate, that you speak to your broker to understand how this will affect your cover and premium. 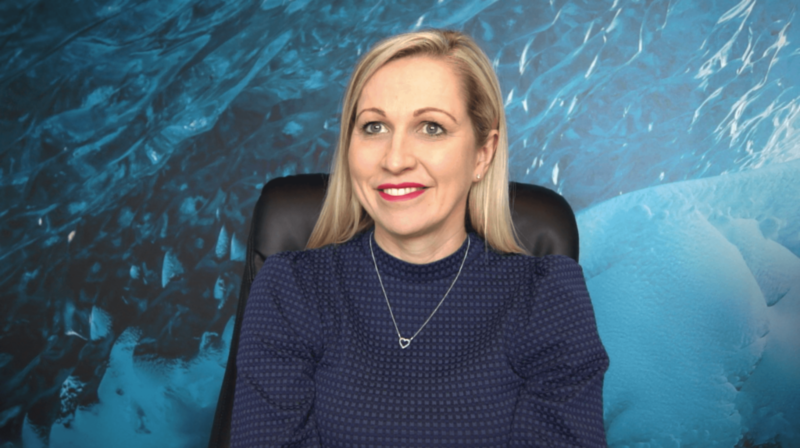 So there’s a snapshot view of preventing the ‘Escape of Water’ risk, but our Private Client team are ready and waiting to give you a far more extensive explanation of the risk and its preventative measures. Contact us today to speak to one of our expert colleagues. With International Women’s Day 2019 upon us, we took some time out to take stock of our business, industry and country as a whole, to look at how we can champion this year’s campaign of #BalanceForBetter. In the week that reports showed Yorkshire as the third worst county in the UK for gender equality in employment, it’s a fitting time to look at how we’re performing, and how things can be improved around us. The insurance industry as a whole also trails in representation of women in senior roles, with women representing only 27% of executive teams and 39% of management roles as reported by the Association of British Insurers. Whilst the number of women entering the industry is growing, the proportion reaching senior positions still lags behind their male counterparts. We’re proud to say that our gender diversity currently sits at 55% male and 45% female – a balance that we’ve achieved by recognising and promoting the hard work put in by everyone at our business, regardless of gender or background. 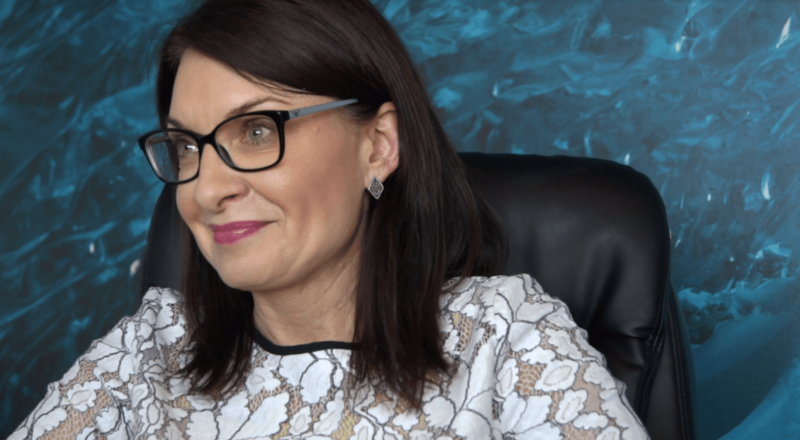 With women sitting in a number of senior level roles across the entire business, we took some time out to chat to a handful of them to get their insight into what it means to be a woman in this industry, and the advice they’d give to the next generation. Tell us why you chose or how you ended up working in insurance? VRT: I didn’t actually choose to be in insurance – I started working in the business to support my brother Justin who founded the company. I began in an admin role and the rest is history! I became a director of the business when I was 21 with more responsibilities, and now I’m a director of a number of insurance businesses across the group. SB: To be perfectly honest, I sort of fell into it. I started life working for a tarmac business, which was a very male dominated industry, and when leaving there I had the opportunity to go into insurance through a friend, and it’s one of those things that when you’re in insurance, you seem to stay in insurance. And here I am 33 years later, I love it and I’ve never left! SE: I came into insurance straight from school working for a small broker, and I just carried on from there! I started there and kept going and now I wouldn’t change it for the world. I find it so interesting and love what I do. JP: Like a lot of people I think, I found myself landing in insurance, but after 19 years of working here at Romero, I’ve never looked back. I thoroughly enjoy working in the industry and here as a business. What did you find as the biggest challenge breaking into a senior role, and what challenges have you faced since achieving it? VRT: I’ve never faced any gender discrimination at Romero. We’re a really equal opportunity led business, and the main challenges I face are the ones I put on myself every day to be the best I can. The pressure comes from within to be my best and when we deliver results like we do, growing double digits each year to have the pressure to continue this is quite large but that’s the challenge I thrive on. SB: I was really lucky, in that I was approached to go into my senior position and given the opportunity to step up, but once I got into the role, that’s when the hard work starts. Demonstrating that you’re the right person for the role and performing, but I am really grateful that I had the opportunity from someone who had faith in me to do it. Since I’ve been at Romero, I’ve been taken seriously from the very beginning. You sometimes have it in the back of your mind the concern that people might not take you as seriously because you’re a woman, but I’ve never experienced that here and I’ve always had full support from the directors, right through to my own line manager and my team. I’ve never felt prejudiced against here and being a woman isn’t a stigma at Romero. SE: The biggest challenges I’ve found in the past is gaining respect from other team members. As you start junior and work up as I did, it can be hard to build and maintain respect. Whilst this applies to both men and women, there are some people I’ve come across in my past that are more difficult to win around because I’m a woman. But thankfully, these occasions are few and far between, and by working hard and being open and honest, I think we’ve been able to overcome that and I’m pleased to say now here at Romero I don’t experience this as a challenge. It’s traditionally a man’s industry, so it can be a challenge for the ‘old guard’ to accept a woman in the position I’m in, but I think I’ve been able to overcome this and earn their respect. Since being at Romero though, I haven’t had any issues related to being a woman. I’ve had the backing of my line manager, and people across the business and I feel like I’ve not had the challenges that some women face in other places. I’m lucky that this is a great place to work. JP: As I’ve worked through different roles, probably one of the biggest challenges was working in a very male oriented environment when I was exec-ing, but fortunately because Romero has always been really supportive, and challenged me to progress and grow, they’ve driven me to be in this senior role because of my achievements and I’m really grateful for that and enjoy the challenge. I’ve recently been promoted and am just finding my feet in the new position, but thankfully I haven’t found that being a woman has been a barrier to me. 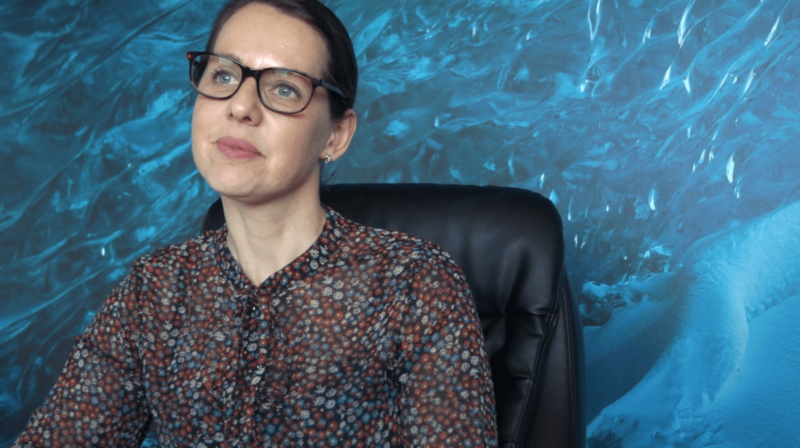 The company is very supportive in putting women into senior roles, and I’m really enjoying taking on this new opportunity and seeing what it brings. VRT: My family have inspired me the most. Both my parents worked exceptionally hard, and my brothers and I always had jobs since we were really young and I’ve always looked up to them. We all try to do our best every day and I’m just following in their footsteps. SB: I’d say the people who have inspired me in my career have definitely been the people who I’ve worked for. I’ve had two really stand out line managers, one at my previous employer and now my current boss at Romero, Victoria. And these two people are both ladies. They’ve been inspiring, and have been a great support and role model to me, and I’ve always aspired to work to their standards and present myself as well as they do. SE: The person that’s inspired me most in my career is Jody, my manager here at Romero. They have inspired me to have confidence in myself, supporting me to know I’m always making the right decision, and to help build me to the place I am at today having complete faith in me. And I aspire to be like them in my work. JP: There have been a few people who have inspired me. From a female perspective, I’ve always found Karen Brady really inspiring as she’s very motivational as far as women in business are concerned alongside her work ethic. She’s a great person to inspire you and has achieved so much, that it makes you realise that there’s no reason you can’t be equally as successful. As far as within Romero, I’d say Justin our founder and CEO has inspired me to push on. Working with him for 19 years and him always encouraging me to reach my limits and succeed to be involved in a winning team is major inspiration. VRT: Diversity. No day is the same, and being able to direct the businesses for the better is a great feeling. Being part of an award winning organisation and seeing our staff succeed around me is so rewarding, and knowing the teams around me are growing and performing is great. SB: Working to the best of your ability, and getting positive feedback from the senior team and my staff is so important, alongside having a happy team around me putting out great results is really rewarding. SE: Job satisfaction and providing an excellent service to clients. I like to think I’m approachable for my staff, and knowing my staff are happy in their work and are coping and don’t have any worries, makes me happy in my role. If they have no stresses and strains, then neither do I and that’s a great environment for us all to be in. JP: I find positive feedback really rewarding. Between departments, and between teams. The fact that the team runs well and creates a positive environment is fantastic. Do you think there are any stereotypes about women in senior roles, and what effect do you think this has on women aspiring to reach them? VRT: Generally I think the stereotype is positive, in that women are doers, get things done and are organised. Certainly the women in senior roles in our business are all these things and so much more. SB: I think sometimes the stereotype is that women have to be really hard to survive, but I don’t think that’s necessarily the case. I think you should just be yourself, and if you’re a dedicated, hardworking person I think you will get to where you want to be, without needing to be a typical stereotype. I don’t think that should come into it, and I certainly know that that’s not something I or my female colleagues around me have had to worry about here at Romero. SE: I’ve thankfully never really come across any stereotypes in the places I’ve worked or the people I’ve worked with, so I think that is a real positive that hopefully these stereotypes are becoming a thing of the past! JP: There possibly are, but talking about Romero I don’t feel there’s any gender difference. Men and women are both equally encouraged to do well, it all depends on your work ethic. If you’re motivated and want to succeed, that’s what’s important, not your gender. 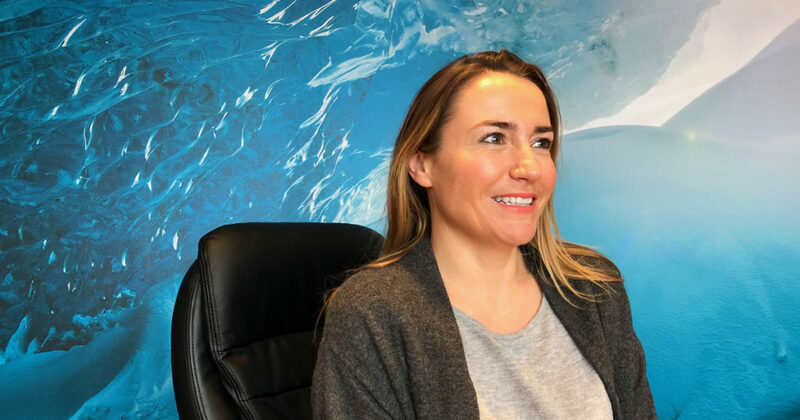 Historically, I think the industry has been known as a bit of a man’s world, but times are changing now and I think that’s the case with businesses on the whole. Women are pulling through and achieving those senior positions. What’s the most important piece of advice you’d give to women thinking of entering this industry? VRT: Be prepared for hard work. Keep developing yourself and don’t be afraid to speak up and question others even if they are in senior positions. I think it helps people to question the way we do things and constantly evolve. SB: I’d just say go into the career of your choice. Work hard, be dedicated and hopefully achieve equal pay which I’m glad to see is more widely in the spotlight at the moment. But ultimately, just go for it, because you’re worth it. SE: The best piece of advice I can give is work hard, be confident, and strive to be the best you can be. And if you do that you’ll go far. Have faith in yourself that you can do it, and if you do that you will succeed in the industry. JP: My advice would be try to do all you can to succeed. There are no barriers and no reasons why you can’t achieve your goals. If you work hard and are confident in what you do, the sky’s the limit and you can achieve what you want to achieve. How important is it for women to lift each other up and support each other, and what does it mean to you? VRT: It’s very important, but I think it’s not just about women. It’s about everybody male or female. We’re all equal and part of the same team here and all support each other. You’ve got to all work towards a common goal and that unity is what I think is most important. SB: I do, but it’s always been a very natural thing in our environment. It already happens and we do all support each other. It’s not forced, it just is something that naturally happens and that’s the way it should be. I’m very comfortable that we all support each other not necessarily just because we’re ladies, but because we all are working towards the same thing, and help each other as best we can. SE: I think women are very different to men in their roles. I think women can be more approachable and sympathetic to other women. It’s nice to have people around you who you can be open with, and who can be open with you to support each other. Whether people have work or personal issues, it’s important that they can speak to someone who can understand them and their point of view, which makes it easier to help resolve those issues and I think as a woman supporting other women I can see the benefit of this. Being able to talk to someone who has been through the same thing as you is really powerful and makes it easier to help. JP: It is really important for women to support each other. The advantage we have here is there are quite a lot of women in senior roles so there’s always a referral point if you need it. Women do well supporting each other, particularly when the industry can be male oriented, so it is encouraging that you have the comfort of other women to refer to if necessary when decisions are being made. On International Women’s Day, what is the most important message you’d give to young women thinking about their careers? VRT: Don’t think that you have to go down the traditional route of university. I personally didn’t, and came into insurance straight out of college. I always wanted to be a barrister, and by working, that enabled me to do my degree in law part time, but actually by the end of my degree I realised I didn’t want to be a barrister any longer, and saw that what I was doing was what I really loved. So don’t just think that the conventional way is always the right way. Get into work early, and figure out what you really want to do, and if you want to go on to do qualifications, perhaps do it later in life when you truly know what you want to do. SB: It’s difficult when you’re young to know what you really want to do, so it’s important to keep an open mind, and if you do make a decision that isn’t for you, don’t be afraid to change your mind and go down a different career path. But at the end of the day, old fashioned values count for everything. Dedication, hard work, timekeeping, and just making sure you’re doing something you REALLY want to do. It shouldn’t come into it whether you’re a woman or not. Whether you want to be in insurance, an engineer, a firefighter or any other career, nothing should hold you back. Just go for it! SE: I’ve actually recently had a conversation with a young woman coming in to our industry, and I just told her to have confidence in herself, work hard and if you put your mind to it, you can be the best you can be in the industry. But it’s as simple as be dedicated to working hard, expand your knowledge and always learn, and if you continue to do that, you’ll grow as a person and achieve. JP: What I’d say is don’t rule anything out. There’s nothing that can’t be achieved. Be 100% confident in yourself, and give everything you do 100% effort and the sky’s your limit. You can do whatever you put your mind to, so be confident enough to do that. Don’t feel you’re on your own. You’re not isolated – there’s always someone you can turn to for advice. Here at Romero women are thought of equally to men, so take that and be confident and you’re bound to succeed. To find out more about Romero, or to join our exciting, growing team, visit us and get in touch at romeroinsurance.co.uk. We know from talking to our clients, that one of the things they like most about working with Romero’s is the people. They appreciate our experience, expertise and the dedication we show on every account. So in a new series on the Romero blog, we’re going to help you get to know our staff a little better. And we’re going to start with our brand new(ish) Head of Brand and Marketing, Ollie Calvert! Ollie joined Romero two months ago, so this seems like the perfect opportunity to catch up with him, ask him how things are going and find out what makes him tick. Q. Hi Ollie, how are you enjoying your time at Romero so far? It’s been great. I can’t believe two months have passed already. I’ve loved the freedom the role has given me to build something from the ground up and do some really exciting things. Being able to build the role from scratch and have the opportunity to take the reins to develop and grow the brand is the ideal! What I’ve been really impressed with is the passion that everyone has for what they’re doing, and it’s absolutely contagious. Q. What’s been your favourite thing about being here? Hands down it’s the people. It’s amazed me that even in a business this size, everyone is personable, friendly and welcoming. I’ve not felt like the ‘new kid’, and it’s been great to have the support from the whole team from the word go. Everyone I’ve spoken to is so bought in to the philosophy that the whole business has, and when I’ve caught up with clients they clearly feel the love as well. Hearing them talk positively about the business, and reading some of the testimonials we have has been really inspiring and just shows the importance of what we do to real people’s lives. Q. And what have you found most challenging? With a business of this size, probably getting to know who everyone is and what they do. It’s a new industry to me, so I’ve been on a steep but fascinating learning curve. But with time, and spending periods with each department to get to grips with what they do, I’ve seen how the whole ecosystem comes together to offer this great service to our customers. It’s easy to think a business like this could be really corporate and cold and I thought that may be a challenge, but it’s the complete opposite here. It’s a people lead business, delivering on behalf of people. Q. If you had to sum up your role in one sentence, what would it be? Helping everyone in the business put our best face forward. Making sure that any way the world interacts with us is the best, most motivating and engaging it can be. Q.You’re Head of Brand at Romero. What exactly is ‘brand’ and why is it important? I may be biased, but brand is one of the most important weapons in a business’s arsenal. A strong brand, is our personality. It tells the world what we stand for, who we are, what we do and how we do it. A brand is what makes us unique and differentiates us from everyone else. Think about your favourite car, the clothes you choose or what phone you pick. Is it because of the specific horsepower, the material it’s made of or the performance of it’s processor? Probably not. The reason you’ve chose all those things you live with in your everyday life is their brand. It’s something you identify with on a personal level, and what is really exciting about doing this for a B2B business, is that the market as a whole hasn’t generally caught up to the value of a strong brand. Where everyone else talks about product, we’ve got the chance to show people WHY we do what we do, not just what we do. Every broker can offer insurance that does a job for you, but only with Romero will you get the tailored product and personal service that makes you feel part of our family, and that’s why it’s so exciting to be developing a brand for this business, with people at its heart. Q. What has surprised you most about insurance? How diverse it is. Before you’re in it, it’s easy to have a one sided view of insurance, and that partly explains my next answer! But since joining Romero and getting that front line exposure to what’s involved, it’s absolutely fascinating. The variety of personalities, and skills that sit just within our four walls is amazing, and to see how creative lateral thinking and going the extra mile can make a difference for people is fantastic. Q. And What would you like to change about insurance? The perception. I feel like people view insurance as a dull, tired, old-school industry that’s not very exciting. And it’s simply not the case. It’s full of vibrant people and fascinating stories, and insurance is part of protecting everyone’s everyday life. And that’s really powerful. Far from being boring, it’s what helps save racing driver’s careers, keeps businesses operating after disasters and protects people from harm. Far from being dull, it’s an exciting industry to be in, and I’d like more people to see that. Part of the brightest and best independent broker in the UK, leading a diverse and dynamic team of creative professionals. That’s the aim! This is clearly a growing business and there’s so much scope for the future. As someone coming in to build this department from scratch, I can see so much potential to build a team of people around me to think differently, do things that no one else in the industry is doing and to make Romero famous for being the most exciting broker to work with and for. Q. And what about the company as a whole? Where is Romero in 5 years time? The number one commercial independent broker in the UK. With so much of the industry selling out and consolidating into networks, the power of independence will shine through. Being able to retain the personal philosophy that everyone at Romero lives and breathes without any dilution or confusion will be a great power and something that over time I’m sure will make us unique. Q. You told us earlier that this is your first foray into insurance. Where did you work previously and what did you do? Q. What drives you to succeed? Without sounding too worthy, making a difference. As a marketer, we have amazing influence over the world around us, and the opportunity to use that for good is so important to me. People live their lives in brands without even realising it, both at home and at work. And knowing that you’ve done something that will make a difference in someone’s day is really exciting and that’s what keeps me going. And here more than ever before, that difference you make is really powerful. By being the voice that sways a business to work with us instead of someone else, and to know that if something goes wrong in their world that we’ve got their back is an amazing feeling. Creative. Curious. Hospitable. Open-minded. Driven. Q. So that’s the work bit out of the way. Now to the juicy stuff! What’s your perfect Sunday? Now this is an easy one. Start the day early with a big breakfast, a mug of coffee and the newspaper, then pull on the hiking gear and head out into the hills with the dog, my other half and friends. A day in the fresh air getting miles under the belt and the buzz of reaching a summit can’t be beaten! And to finish it all off? Head home for a few pints of craft ale and cook a killer Sunday roast for everyone before sitting down in front of the Antiques Roadshow with a glass of red (I know, I’m old before my time)! Q. If you were a flavour of crisps, which would you be and why? Hmm… this is a difficult one. Perhaps Sea Salt & Black Pepper? Classic and reliable but with a bit of a twist. Q. What’s your pet hate? This is easier… Lateness and slowness. Being stuck behind someone on the pavement who’s dawdling, or people running late. It’s not hard to be on time and to pick your feet up and just get where you’re going! Q. If you were stranded on a desert Island and you could have access to one bit of magic, would it be the magic to take you home or the magic to summon someone to join you? Another tricky one – I like the idea of the peace and quiet of a desert island, but I think when it came down to it the magic to take me home would win. Life is all about people – family, friends and perhaps more importantly, dogs! And I couldn’t live without them all… so I’d be tapping my heels together because there’s no place like home. Q. And finally, Why should someone get in touch with you and how should they do it? Obviously because of my amazing conversation skills and witty repartee. Okay, maybe not. But in all seriousness, we’re here to do things differently as a business. Put our personality forward and have an opinion on the things that matter in ours and our clients and partners worlds. So it’s important for everyone here that we’re part of conversations across the industry to lead the way in showing the world that insurance is a dynamic, and exciting place to be. So I can definitely talk about that! And you can find me on LinkedIn, Twitter, Instagram and email, so… take your pick! I’m always happy to chat. We try to mention the dreaded ‘B’ word as little as we can on this blog. Obviously we’re doing as much planning as possible for Brexit behind the scenes, but we know that you’re probably more than a little fed up of hearing about it by now. It feels like you can’t switch on the TV or radio without hearing about deals, no deals and some fall out between Theresa May and her party/the opposition/the eu (delete as appropriate). But, with only 29 days (at the time of writing) until the UK packs her bags and leaves on the midnight train, we thought we’d take stock and analyse the current lay of the land where insurance is concerned. So here is what we know, don’t know and what we need to work out when it comes to an insurance Brexit. As with the rest of the country, the major concern from the insurance world is the uncertainty that still casts a cloud over the whole Brexit topic. As it stands (again, at the time of writing), the UK is heading for a no-deal Brexit. That means leaving the EU on the 29th March with WTO trade terms. And that’s an unpopular state of affairs, at least as far as ABI Director General, Huw Evans is concerned. At a recent annual dinner, he claimed that a no-deal Brexit would be ‘an unforgiveable act of economic and social self-harm that the UK would live to regret’. Some pretty powerful words. It’s a feeling that’s echoed by large swathes of the insurance industry. Whether for or against the UK leaving the EU, most agree that no-deal is not the way to go about it. So the industry isn’t ready for Brexit then? Well, not quite. In truth, no one can ever be ready for something that they’re not sure is going to happen. The UK will leave the EU, but at the moment, it’s anyone’s guess how they do it. But having said that, there are measures in place to prevent chaos and limit disruption for insurance customers. For instance, the FCA (Financial Conduct Authority) has already outlined how it will use special transitional powers to ensure a stable regulatory environment if the UK leaves the EU without a deal, according to this article on Insurance Age. And actually, some insurers who have already made solid preparations for Brexit, are doing really well. Hiscox, for example, trebled its profits after completing preparations for Brexit. So the insurance industry isn’t ready, to put it bluntly. But no sector can be fully ready with so much uncertainty. Insurers and brokers have put plans in place to protect customers. We know Romero have been doing this for some time. It’s fair to say that the insurance industry is as prepared as it can be, and as much as any other sector. This is an issue that’s come up a lot over the past few months; what’s going to happen to British businesses with foreign risks. Unfortunately, as with most of the Brexit conversation, the answer is ‘it depends’. It depends who you have as a broker, who your insurer is and what country your risk is in. Back in August, the Financial Times reported that ‘most large insurers have executed contingency plans to ensure cross-border contracts are honoured if there is a no deal Brexit’. We’ve also had news that the UK has signed a deal with Switzerland to ensure the ‘seamless continuation’ of the current regulations. A similar deal has been struck between the UK and the US, and France have published emergency insurance plans for a no-deal. All in all, it looks like there won’t be too much disruption, and the right work has been carried out by the insurers. But when it comes to Brexit, there is always a twist and turn around the corner. Therefore the best advice is to make the most of a broker who can use their experience and expertise to guide you through this uncertain time. In a couple of months’ time, when all is said and done, we’ll put together another one of these blogs. Hopefully things will be clearer by then. Until then, have faith that the insurance industry is doing everything in their power to continue plain sailing. Romero Insurance Brokers are winners! Last night, we attended the Yorkshire Financial Awards held at the New Dock Hall in Leeds. We were on the shortlist to win the Broker of the Year award, up against some stiff competition. We’re delighted to announce that we took home the award! Yet another award win for Romero. The win demonstrates our commitment to the service we deliver for our clients and the results we achieve. ‘We’re really proud that our dedication to clients has been recognised. We’re determined to be exceptional in everything we do, and award wins like this show that we’re getting it right. We’re one of the leading independent brokers in the UK; it’s important to us that the service is constantly at an award-winning level’. If you’d like to know more about the awards we’ve won, or the service that’s helped us win them, contact us today. Just click on the contact button at the top of this page, or find us on social media. We’re on Facebook, Twitter and LinkedIn! Learning how to use our new defibrillator! 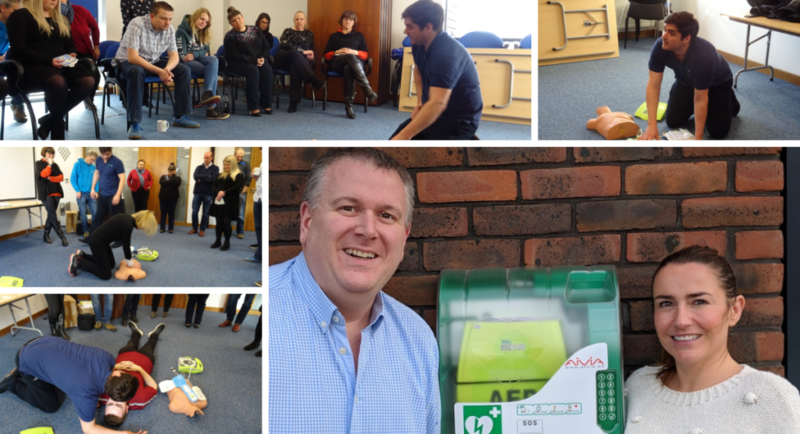 This week, Romero’s staff have spent time learning how to use the new defibrillator which will be permanently housed on the outside of our head office in Leeds. After having recently experienced the devastation that can come from heart-related illness, our staff are keen to prevent others feeling the same loss. We’ve purchased the defibrillator in conjunction with a couple of other local businesses, as well as some incredible fund-raising by the different teams within Romero. Without going too deep into the science, defibrillators administer a shock to try and recover the heart’s regular rhythm. They’re to be used alongside CPR and ‘mouth-to-mouth’ whilst the first-aider waits for the ambulance to arrive. Put simply, defibrillators can be the difference between life and death. If someone collapses from a cardiac arrest, their chances of dying are significantly increased if a defibrillator isn’t used. In fact, according to the British Heart Foundation, for every minute it takes for a defibrillator to arrive at the patient, their chances of survival reduce by 10%. Sadly, only 3% of cardiac arrests happen with the recommended retrieval distance of a defibrillator according to the Resuscitation Council. They may be easy to use, but defibrillator training is still a necessity. The first aider needs to know how to apply the shock pads and when to administer the shock. We’re delighted to say that a large group of Romero staff, spread from all different departments, are now knowledgeable about how to use a defibrillator. If you’d like to donate to the fund raising efforts, you can do so by contacting us through social media. It’s a statement we’ve very proud of at Romero: not only are we fiercely independent, but we’re one of the leading independent brokers in the country. With offices in Leeds, Manchester, Stockton, Halifax, Nottingham, the Midlands and London, we’re a truly national company who can support clients up and down the country. A company doesn’t just become a leader in its field overnight. It takes strategy and commitment to principles. And in this article, we wanted to share with you 5 of the reasons why Romero Insurance Brokers are the company we are today. We’re more than 20 years old. Which isn’t that old in insurance terms. Especially when you consider that the first insurance contract drawn up is dated to 1347. But the experience we have in this team is second to none. We have a number of staff who have worked in insurance for over 40 years. We have team members who have achieved great deals and won claims pay-outs for hundreds of clients. And most importantly, we have employees who have worked at Romero since the beginning, way back in 1997. They stay because they know what a fantastic company this is. In fact, we’ve won numerous awards for it. Blazoned across the wall as staff members enter their offices are the words ‘treat customers exceptionally’. It’s the company mantra that we follow in everything we do. One of the reasons we’re one of the UK’s leading insurance brokers is because we maintain relationships with clients and have a very good retention record. When clients experience the service we deliver, they sign to stay with us time and time again. You don’t achieve that trust and that relationship with clients unless you treat them exceptionally. We go the extra mile for our customers and fight for every cause. We understand that our staff are our driving force. They’re the ones that deliver the outstanding service to clients. In order to do that, they need to feel appreciated, motivated and fighting fit. That’s why we put such emphasis on their wellbeing. You may have read on our social media platforms recently that we’ve signed an agreement with hero wellbeing. They’re created a fantastic app which allows users to track their mental and physical health, set themselves goals and targets and learn more about fitness and nutrition. We invest in resources like hero so that our clients can get the very best from our team members. It sounds contradictory to say, but we specialise in a number of different markets. We have a team in Manchester who support our Sport and Leisure clients, we have a division in Leeds for Private Clients, our Halifax office supports Dean Clough Mills…we have teams working on specialist areas so that they can give the best possible advice and service. We’re not a ‘one-size-fits-all’ kind of company. We like to ensure that the person working on your account is the very best person for the job. At head office in Leeds last month, our chairman, Justin, spoke to a number of staff about the future vision for Romero. We’re not giving anything away by telling you that, because the message was that we’re going to continue delivering the independent service we always have. We’re not selling out or restructuring. We’re dedicated to maintaining the relationship we have with clients long into the future, and gaining new relationships as we do so. We’re committed to our customers old, new and yet to come. This Leeds insurance broker, which has become a Manchester insurance broker, a Halifax insurance broker, a Stockton insurance broker, a London insurance broker, a Nottingham insurance broker, and now one of the leading insurance brokers in the country, by being committed to doing the best for our clients. It’s that simple. If you’d like to talk to Romero about the market-leading and award-winning service we provide, call us today on 0113 281 8110. What is Cybercrime and why do you need specialised insurance? In 2017, there were 4.5 million incidents of fraud and computer misuse across England and Wales. Only 47 of those ended in prosecution. As experts in Cybercrime insurance, we can help you recover if your business is targeted by attackers. Email our team today for more information on the cover we can provide, and read the rest of this blog for more information. Although cybercrime is on the decline, the threat is as real as ever. Criminals become more and more sophisticated in the way they attack technology. At present we’re only managing to catch up, with anti-virus software and greater awareness. The unfortunate truth is that as the statistics suggest, you will probably be a victim of cybercrime at some point in your career. In fact, in the UK, you’re more likely to fall victim to cybercrime than any other type of crime. In 2017 (the latest complete statistics available), cybercrime affected 17 million people. And the criminals profited £130 billion. But cybercrime doesn’t have to be remote. There is also social engineering, where criminals enter your building unchecked so that they can access your system. They target businesses that don’t require ID tags and where they’re unlikely to be stopped and questioned. The goal for most cybercriminals is financial gain; either from pilfering money or by ransoming stolen information and data. How can you protect yourself and your business? Unfortunately cybercrime is cat and mouse as the criminals find a new way of accessing data before we work out ways of stopping them. It’s very difficult to completely prevent it. But there are steps you can take to limit the chances. From a business level, the implementation of proper anti-virus and security software is vital. You should have email-vetting technology in place as well as backups on all important systems. All staff should receive regular training on spotting the signs of suspicious behaviour. At Romero’s, our IT department ensure that all staff know what phishing emails look like. And when to not divulge personal information. What to do if you suspect you’re a victim? The first step to take is to report any breach to the police. The NCA (National Crime Agency) have a specialist department dealing with cybercrime. After alerting the police, it’s important that you speak to qualified cybercrime investigators. The criminals may have breached a level of your security, but you might have a chance of stopping them getting any deeper into your system. You must contact your insurance broker as soon as possible. An established and reputable broker like Romero’s will guide you based on their experience and expertise. They will give you the next steps to take to remain compliant with your policy and have the best chance of getting the money back. Why is cybercrime insurance so important? The disappointing truth about cybercrime is that not only is it difficult to prevent, it’s even trickier to recover from. Once an attack has occurred, the damage is done. Cybercrime insurance will help you get back on your feet after an attack. Romero’s are experts in cybercrime insurance and we have a proven track record of helping businesses recover from attacks. If you’d like a confidential conversation about protecting your company, contact us today using the ‘contact us’ option at the top of this page. These are the words of John Glen MP at the launch of the BIBA Manifesto 2019 held on Tuesday 15th January at the Houses of Parliament. At a time where the UK insurance market must compete with and face rising challenges from the rest of the world, it is important that our industry continues to be innovative, and offer the best possible products and services to our customers both big and small. As one of the UKs leading independent insurance brokers, Romero’s customers are at the core of everything we do. We make a point of knowing each of our customers personally, and are proud of the relationships we build. By knowing every detail of our customers’ businesses and the policies they hold with us, we’re able to support them in the most effective ways. This is never more relevant than when a claim must be made, and by having someone fighting your corner with the support and advice you need most at a difficult time, we can deliver results when they’re critical to your business. “Following the fire, Rednal Racing’s brand new buildings which housed their operations and fleet of karts were completely destroyed. Progress with the resultant claim was hampered when it came to light that the building also contained a brand new Ginetta racing car that had been leased to Rednal’s owner and his son (the up and coming racing driver Tom Wrigley), the day before the fire. At this point they turned to us for help. We had not been notified of the vehicle upon delivery, and insurers were unaware, so the valuable car hadn’t been listed specifically on the policy, and the insurers were not going to meet that part of the claim. By knowing every detail of our client and their policy, we were able to demonstrate that the £95,000 claimed for the car should be paid under the policy’s capital additions clause. This knowledge and dedication not only saved the client a large sum of money, but also helped alleviate the heartache of such a disastrous event. We’re exceptionally proud of the way we’re able to support the Rednal Racing team, and this is just one example of how we strive for excellence in everything we do. You can read more about the BIBA Manifesto here, or get in touch to find out how we can support your business.